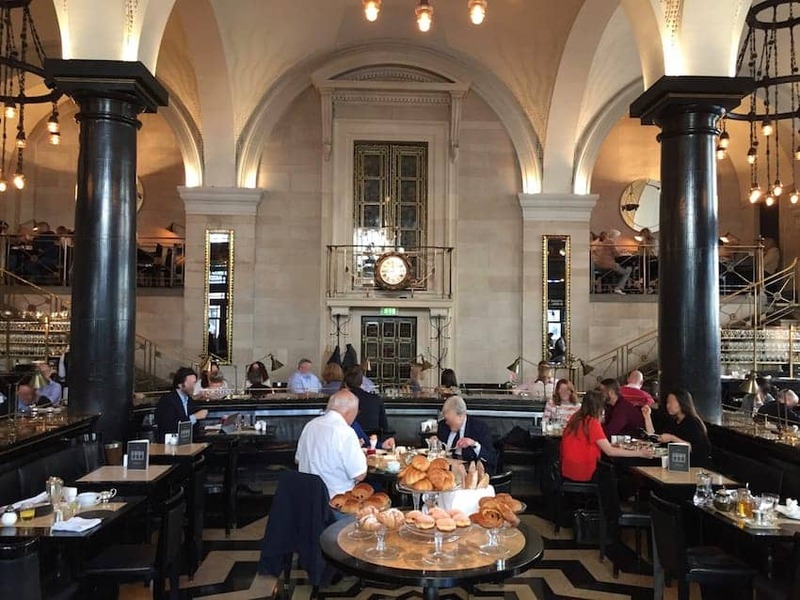 The Wolseley is located on Piccadilly, next to the Ritz Hotel. It was originally constructed in 1921 and features Venetian and Florentine-inspired details, with marble pillars and archways. It was a car showroom for Wolseley Motors and has also been a bank and a Chinese restaurant. In 2003 it reopened as a Grand European style all-day restaurant after further renovation work and the impressive interior has stayed close to the original design. The menu is eclectic and extensive ranging from breakfast and lunch to afternoon tea and dinner. A table here is a hot ticket any time of day.